David Bowie is the strange fascination of an academic symposium in Limerick, a V&A retrospective and FBI-spy's oral history research project. Time to hang him on your wall, huh? 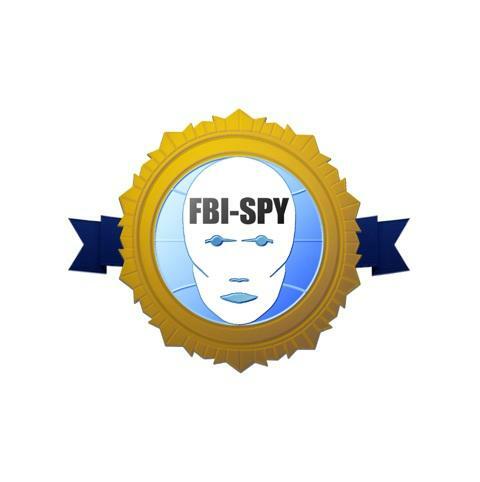 FBI-SPY's launch borg badge melds with Bowie's Ziggy flash - a reminder of the iconic album art for Aladdin Sane, but what in the world would the world of 1973 look like had an alternative image been chosen from the Brian Duffy photo-shoot? Aladdim Patient? Aladdin Tanbooth? How about German comic artist Ewe de Witt's Cyclops-inspired cover? Bowie and the mask of identity [FILM] In the Life on Mars promotional film, shot by Mick Rock, the singer disappears leaving only the ghost trace of lipstick and blue eye shadow behind. David Bowie?! -- does he even exist? Bowie and masculine performativity [FILM] The Boys Keep Swinging video has the singer dancing like some hysterical Elvis impersonator ... and then dragging up not once but thrice. Ah, but which gender is genuine? You promised me the ending would be clear, sings Bowie at the end of his last album Reality. No one warned him of the academic conferences, museum retrospectives or oral history projects that would follow as coals to fire. Close me in the dark, let me disappear… not likely son. It’s true that the Brixton boy has put on the brakes since undergoing angioplasty in 2004, just a scattering of guest appearances, insufficient to fuss over. But why should any of that halt the Bowie machine, when it has all the fuel it needs to keep pressing notes into creased palms for some time … and then some more? On the contrary, the culture industry has hit its stride over the last year. We had three weeks of Heroes punctuated by the opening and closing ceremonies of the London Olympics (but let’s not dwell on final curtains), an unveiling of the Ziggy tablet in Heddon Street, itself a mark of Stardust’s fortieth, which was marked by another re-release and Jarvis Cocker narrating the character’s problematic success story for the Beeb. Even Bowie’s personal milestones, such as twenty years married to model Iman, was a matter for glossy pages and itchy fingers. But it’s hard to disappear in Milton’s darkness visible when everyone from Dries Van Noten to Lady Gaga is claiming you as a leading light (and that’s just the fashionistas; please don’t go bothering the musicians!). According to the Beeb, Bowie is ranked 29th most influential of the all time Greatest Britons, edging out that other revolutionary, Guy Fawkes. Where the culture machine feasts, you can hardly expect its parasite twin academia not to turn up. Still, there’s plenty to go around, so tuck in. The University of Limerick marks its own fortieth with the Strange Fascination Bowie symposium, a 3 day-event also tied in to mark forty years of the 1972 single release Changes, from the 1971 album Hunky Dory … any excuse, eh? The symposium drew speakers from across the world, each with twenty minutes worth of equally diverse discourse … and a forthcoming book to boot. 'He is of huge significance and there is simply such a breadth of work there to examine,' says organiser Eoin Devereux on the importance of studying Bowie. 'On all sorts of levels he was an innovator. His influences are everywhere – from Arcade Fire to the Virgin Prunes'. The conference was accompanied by sweets in the form of tribute act Rebel Rebel and art displays by Australian artist Tanja Stark. Also on display were prints of Bowie's paintings. If it all made sense – even the songs sung by simulacra – it is in no small part due to the dark cocoon Bowie has enwrapped himself in. These events are David Bowie by proxy… you don’t need to ask the delegates who they are inspired by or their motivations for taking part. The Victoria and Albert Museum is yet to stage David Bowie is, the first museum retrospective of the star, but has already gained access to 60,000 items from Bowie’s archive (costumes, photographs, instruments, designs and films) which it has whittled down to a few hundred for the exhibition starting March 2013. The museum has been overwhelmed with additional offers of help and donations of ephemera, co-curator Kathryn Johnson told me. The V&A just isn’t big enough, no, not even for Bowie. The man himself also reached out from the darkness to curate ... ah, but sadly that's just another piece of newspaper gossip. 'We're calling the exhibition David Bowie is for two reasons,' says Johnson. 'Firstly, to put him firmly in the present tense. Secondly, to pose the question David Bowie is ... what? The V&A approach is to leave that question open and to highlight the fact there is no single answer’. Wise words with which – spoiler alert! – the Bowie symposium also concluded. For further details on David Bowie is and the conference summaries, panels and reports, click on the boxes below. But don’t disappear just yet. Not wanting to be left picking the bones, FBI-spy is working with student volunteers on an oral history project aimed at Bowie fans from all backgrounds. The idea behind David Bowie Changed My Life is simple enough. How has Bowie influenced the lives and lifestyle choices of ordinary people? The results could run from the monumental to the mundane, but will hopefully become a document that makes visible the man’s down-to-earth legacy. You want to become involved? … hoped you’d say so. Follow the links below. Don't let me know we're invisible, as Bowie sings. Sing it again, son.